NOTICE - NOPAK products contain American-Made materials. 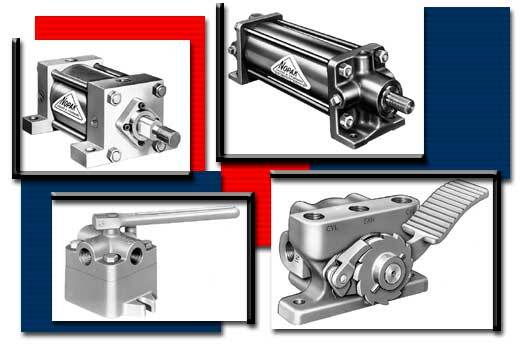 We offer a complete line of replacement repair kits and parts for Galland Henning/Nopak cylinders and valves. For a review of the complete Nopak cylinder and valve product line and specifications, visit the NOPAK on-line catalog. Click the "BACK" button to return to our site. NEED TO REPLACE ANOTHER BRAND OF TIE-ROD CYLINDER?